Marcello is back. All hail Marcello. With that said, some credit must go to Roberto Donadoni. I (almost) always supported the Don’s choices during these last two years (or at least tried to justify them somehow, even when it was extremely hard) but all things considered, I have to admit that his coaching experience was probably insufficient to guide Italy to a major tournament. Ultimately, that’s what caused the Azzurri’s downfall at Euro 2008, and even though we did only lose in penalties, the type of play we exhibited throughout the tournament was far from being extraordinary. When you have the likes of Buffon, Pirlo, and Toni on the team, you’re expected to do much much more. He is not getting a cent from being fired. When he and Abete discussed contract renewals before the tournament, he specifically refused any monetary compensation should his contract be terminated. For someone who (for two years straight) always has had to live in Marcello Lippi’s shadow, Donadoni was always very graceful about it. 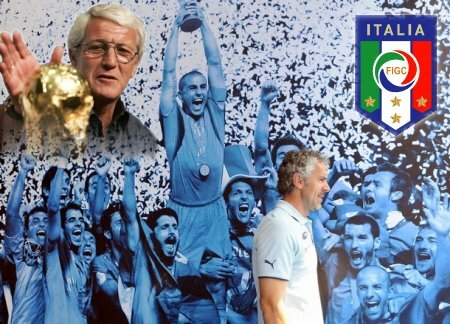 Even when they asked to comment on his successor (before Lippi was announced) he said: “The press has been talking about Lippi for the past two years, I am not here to tell others how to behave. (…) I did not ask Abete whether he had met with Lippi, everyone is free to decide as they please. I’m not going to comment on others’ behaviours, I don’t want to be lacking in tact“. 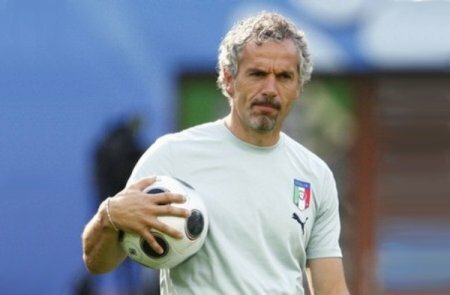 Thank you Donadoni, no hard feelings and best of luck in your future coaching endeavors. This entry was posted on Thursday, June 26th, 2008 at 2:03 pm	and is filed under Azzurri. You can follow any responses to this entry through the RSS 2.0 feed. Both comments and pings are currently closed. You are right. He is a true gentleman. A class act in the way he carried himself.